So you want to make a few childhood memories with the kids and roast up a fabulous batch of s’mores while enjoying the great outdoors at the St. Louis Lantern Fest? Awesome! But you don’t want to end up with sticky goo all over your kid and your smart phone? Yuck! Don’t worry, I’ve been there. And I’m here to help. Nothing is more fun than roasting marshmallows over an open fire then smooshing them with chocolate and graham crackers. 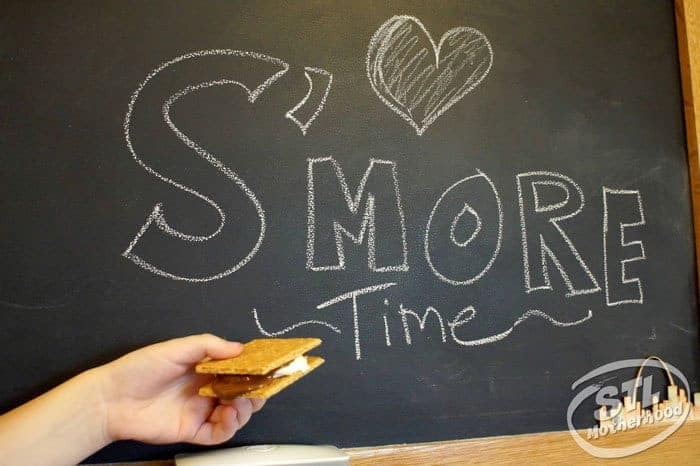 Here’s a few tips to make sure your s’mores are the stuff of happy childhood memories…and not sticky mommy nightmares. After all, who wants to deal with a sticky kid in the middle of the great outdoors…or your backyard? Bring paper plates. 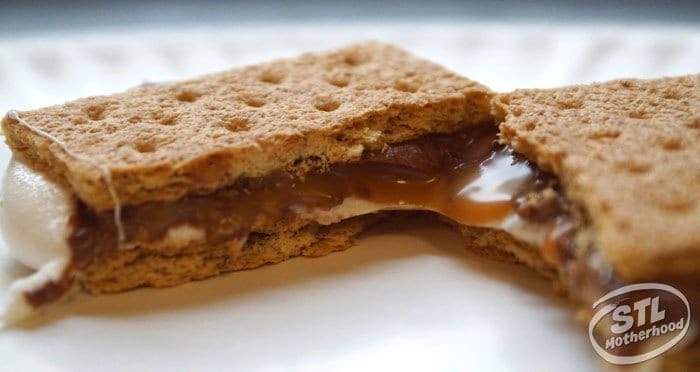 You’ll want to be able to put together your s’mores somewhere fairly clean and have a place to put the sticky mess down between bites. 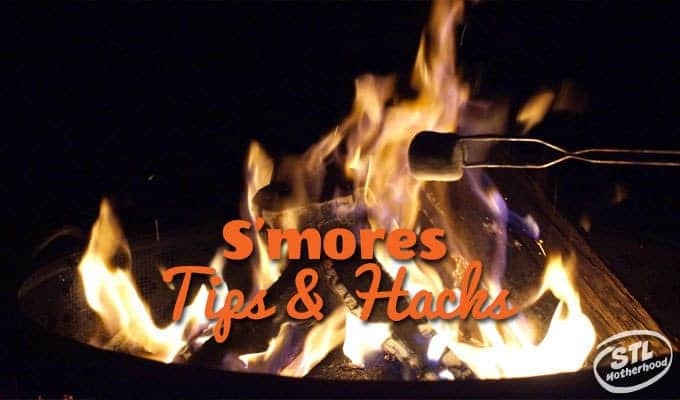 Prep the graham cracker and chocolate BEFORE roasting your marshmallow, especially if a kid is “helping.” You don’t want to struggle with a candy bar wrapper while juggling a flaming hot marshmallow AND your kid. Put the cracker and the chocolate on that plate THEN roast the marshmallow. Look for the red hot coals in the fire and hover that marshmallow right over it. Don’t wave your poor marshmallow directly into the flames, or you’ll have a chard mess to deal with. Only crazy people like burnt marshmallows. It might take longer, but your more likely to get a toasty golden brown. Pack wet wipes. Lots of wet wipes. I know that moms still toting diaper bags will have them, but those of us happily past the potty training days will appreciate this reminder. The classic S’more recipe is hard to beat: graham crackers, chocolate and a roasted marshmallow. You’ll want the marshmallow a nice golden brown–the heat of the marshmallow off a fire will be enough to melt the chocolate. Did you know you can upgrade your s’more with dark chocolate, strawberry jelly or even…bacon? Try substituting your standard Hershey bar with a square of Dove, or a Ghirardelli chocolate stuffed with caramel or raspberry. What about skipping the chocolate in favor of a smear of peanut butter or Nutella? Or try chocolate graham crackers! There are all sorts of things you can do with your s’mores! If you can’t wait until your next campout or bonfire to roast us some s’mores, don’t worry! It’s easier than you think to make these gooey wonders inside! I’ve tried several methods that just didn’t work. I’ve tried putting s’mores in the toaster oven and roasting marshmallows over a gas burner will horrible results. The best solution is the simplest. Roast the marshmallows right in your broiler! 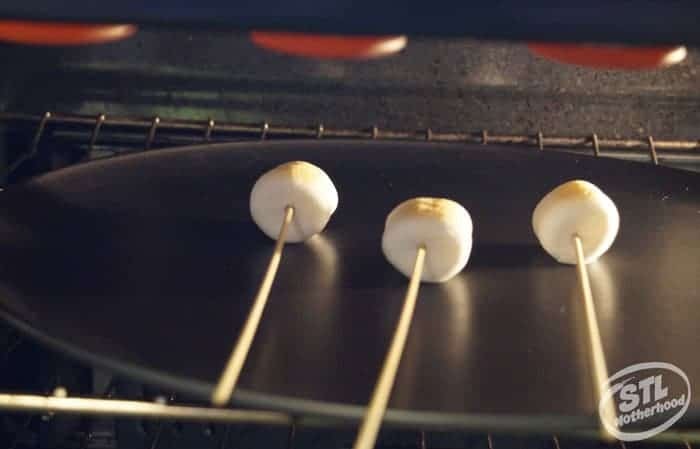 I placed the marshmallows on bamboo skewers so it’s easy to turn the marshmallows quickly–no need to even pull the cookie sheet out of the oven. If you don’t have skewers handy, you could still flip them with a pancake turner. You’ll want to stay close to the marshmallows while you roast them–they will go super fast. These took maybe a minute on one side and 30 seconds on the other. Once you have toasty marshmallows, proceed as normal. You’ll still want your crackers and chocolate ready, because these will cool down super fast. 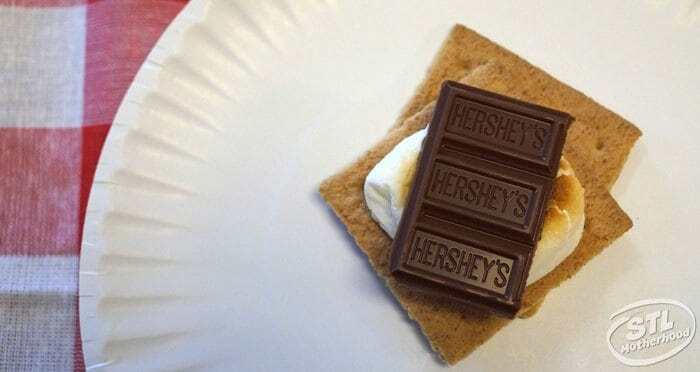 Your chocolate probably won’t melt, but that will keep the s’more less messy to eat.